Cumin lamb is one of my favorite things to order at Chinese restaurants when they have it. This mash-up of Middle Eastern and Chinese flavors happened due to Xi'an's position on the spice road and the flavors combine in such an incredible and unique way that there's really nothing I can think of that's quite like it. 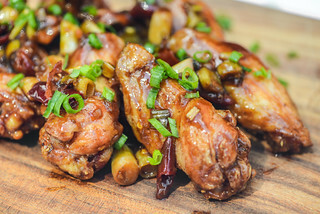 You get a strong earthy character from the immense amount of cumin along with the savoriness of soy sauce and nice heat provided by red pepper flakes. It's a powerful marinade, and equally flavorful lamb makes for an apt pairing. 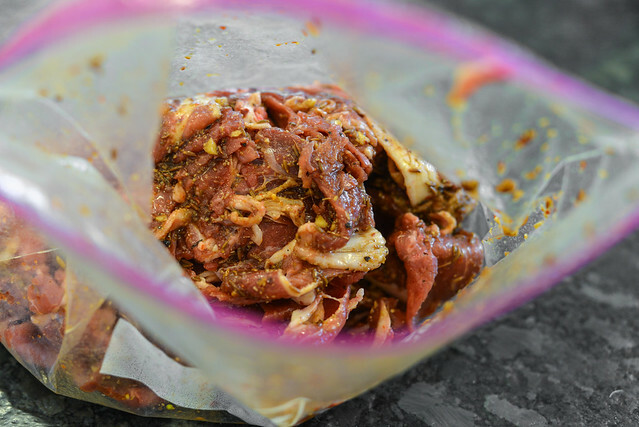 For this preparation, I wanted very thinly sliced lamb shoulder, which has a lot of fat to that makes it both flavorful and forgiving on the grill. Luckily, my local Asian market already sold this prepared for me, so I didn't need to do any slicing or trimming of the meat at home—I just dumped the lamb into a Ziploc bag, followed by the marinade, then massaged the two together and placed it in the fridge overnight. The next morning I tried my hand at baking some Chinese-styles burger buns, and they weren't all that hard to make. The dough itself was really simple—I just placed flour, yeast, salt, and water in my KitchenAid and let the mixer do all the work of kneading. I did end up having to add a couple extra tablespoons of water for the dough to form a cohesive ball. After it was done kneading, I placed the dough in a large bowl, covered, and let it rise until doubled in size, which took an hour. The only slightly tricky part is the rolling and shaping of the dough, so I decided to go step-by-step since photos are better than words for this. After the dough was done rising, I cut it into 12 equal pieces. Then, with each piece of dough, I first rolled it out with my hands into a cigar shape (think of making a snake with PlayDough) and then rolled that out into a thin oval with a rolling pin. Next I folded that oval in half lengthwise as it is above. 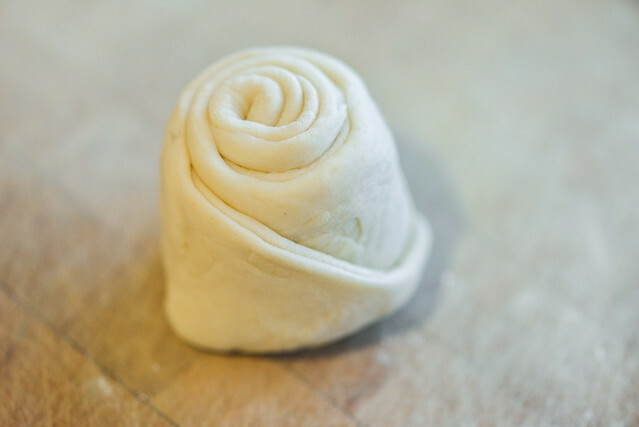 Next, starting with one end, I rolled the dough closed in a spiral, turned that spiral up and tucked the loose end of the dough into the bottom of the roll. Then, using a rolling pin, I flattened that spiral into a disc roughly 4-inches in diameter. As I finished each pieces of dough I placed them on a parchment-lined baking sheet and kept them covered with a kitchen towel. After resting for 20 minutes, I continued on to cooking. At Sister Liu's in Durham, it definitely looks and tastes like they fry their dough, and their buns are even more awesome than the ones I'm used to. I stuck with the more traditional method of cooking on a dry surface—in this case that meant a cast iron pan. I heated the pan over medium-low heat, placed a few discs in, covered, and let the buns cook until they rose nicely and developed browning on the side touching the pan. Then I removed the cover, flipped, and continued cooking until the second side was browned. The cooking felt a little slow at first, so on the next batch I turned up the heat a bit, but the buns then cooked more like a pita with some extreme puffing, which wasn't right, so it seems like slow and steady definitely wins the race here. Most of your time with this recipe will be spent making the buns—cooking the lamb is a very quick proposition. For the best browning, I grilled the lamb right after I had a fully lit, fresh batch of burning hot coals. I kind of just dumped most of the lamb right on the grill and then separated the meat out as it cooked, turning the mass of lamb frequently to ensure it cooked and browned all over. It only took about five minutes total for all the lamb to be well seared, at which time I transferred it to a bowl and tossed the meat with scallions and cilantro to add in some fresh components. After rewarming the buns quickly on the grill, I sliced them open, stuffed with lamb, and served. If you have any lamb hating friends, this might just be the recipe that will convert them. The cumin-heavy seasoning pairs so well with the lamb that it kind of masks any overly lamb-y flavor and fuses to just be nothing but delicious. I'm pretty sure some of my guests were not lamb eaters, but everyone (minus vegetarians, of course) were chomping down on these incredible burgers. For many, it was probably their first time having something quite like this, and my hope was that it will show at least a few folks how great these Xi'an-style burgers are, get them out to have more at our new local shop that's serving them, and maybe later that will lead to more authentic and delicious Chinese places opening up around these parts—I know it's a long game, but it would be totally worth it if it works. 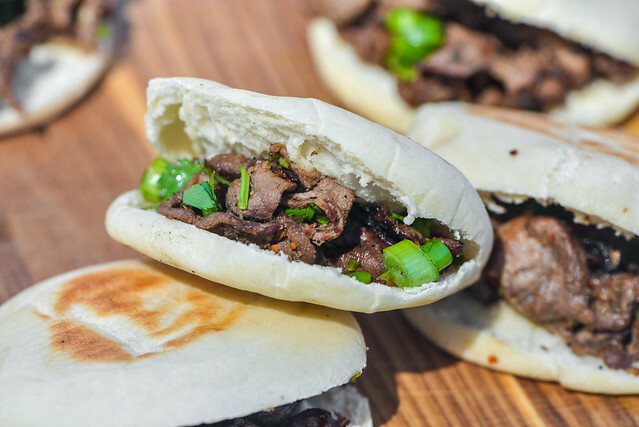 An strong earthy and spicy marinade melds seamlessly with the immensely flavorful lamb, which is stuffed into Chinese burger buns to make an excellent snack or meal. 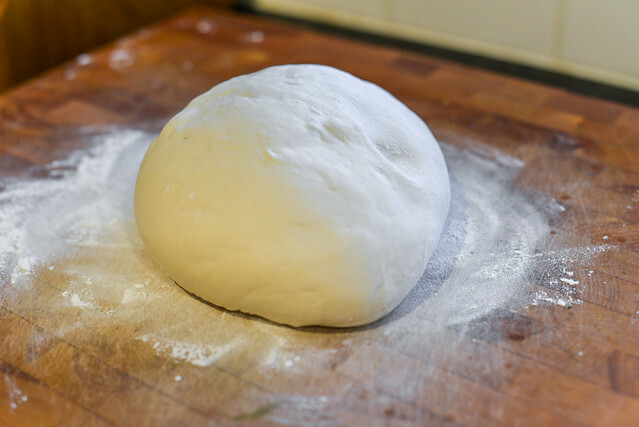 To make the buns: Place flour, yeast, salt, and water in the bowl of a stand mixer fitted with a dough hook. Mix on slow speed until no dry flour remains. If dough does not come together completely, add 1 tablespoon of water at time until a cohesive ball forms. Increase speed to medium and let knead for 5 minutes. Transfer dough to a lightly floured surface and knead by hand until dough is smooth. Cover dough and let rise until doubled in size, about 1 hour. Divide the dough into 12 equal pieces. Take one piece of dough and, using your hands, roll it out into a cigar shape. 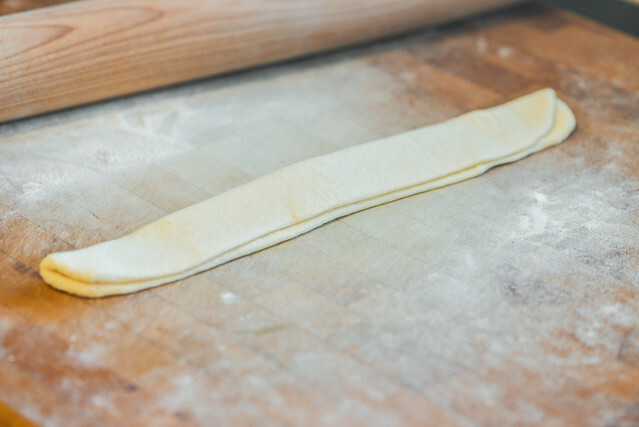 Using a rolling pin, roll dough out into a flat, long oval. Fold dough in half lengthwise. Starting from one end, roll dough closed in a spiral and tuck loose end underneath. 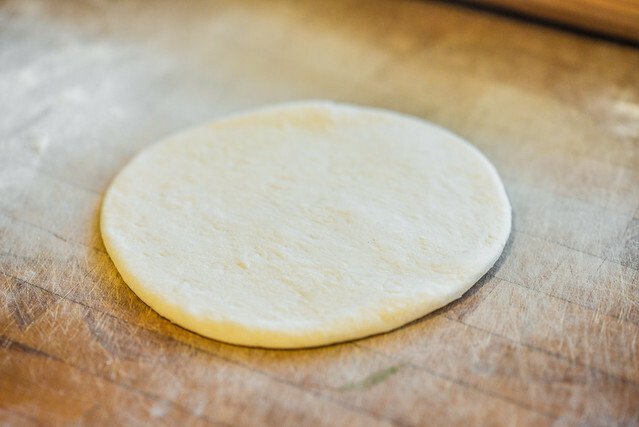 Place dough with spiral facing up and roll out into a disc roughly 4-inches in diameter. Repeat with remaining dough balls. Cover the buns with a kitchen towel, and let rest for 20 minutes. Place a cast iron skillet over medium-low heat and allow to heat up fully, about 3 minutes. 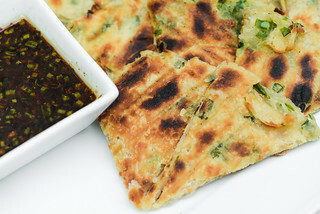 Place 3 to 4 pieces of dough in skillet, cover, and cook until dough has risen and underside of bun has lightly browned, about 5 minutes. 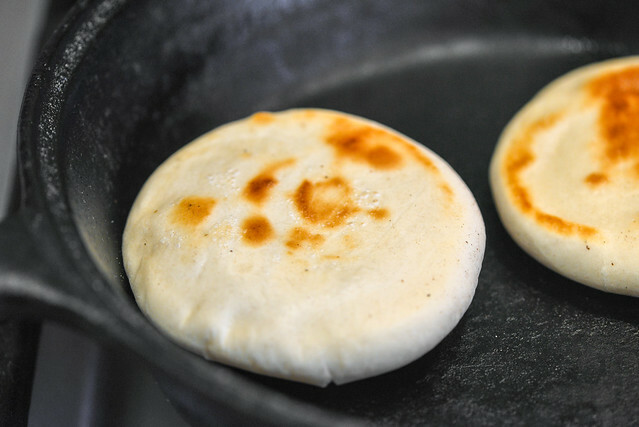 Remove lid, flip buns, and continue to cook until second has has lightly, 3 to 5 minutes more. Transfer buns to wire rack and repeat cooking process with remaining dough. 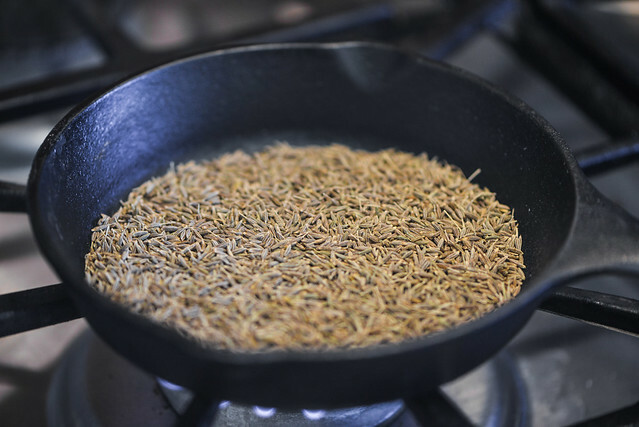 To make the filling: Place cumin seeds in a cast iron skillet over medium heat and toast until fragrant, about 2 minutes. Transfer half of the toasted cumin seeds to a spice grinder and grind into a fine powder. Transfer ground cumin to a small bowl and whisk in remaining cumin seeds, oil, soy sauce, wine or sherry, garlic, and red pepper flakes. Season with salt and pepper to taste. Place lamb in a large resealable plastic bag. Pour in marinade, seal, and toss to thoroughly coat lamb. 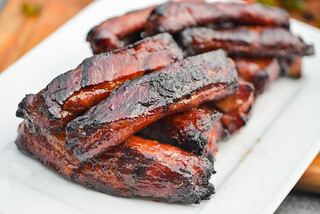 Place in refrigerator and marinate for 2 hours to overnight. Light one chimney full of charcoal. When all the charcoal is lit and covered with gray ash, pour out and spread the coals evenly over entire surface of coal grate. Set cooking grate in place, cover grill and allow to preheat for 5 minutes. Clean and oil the grilling grate. 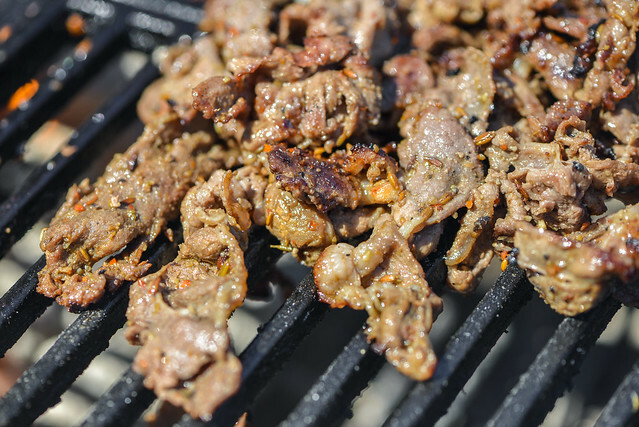 Place marinated lamb on grill and cook until lightly charred and cooked through, flipping meat occasionally, 3 to 5 minutes. Transfer lamb to a medium bowl, add in scallions and cilantro, and toss to combine. Place buns on grill until warm and toasted, about 1 minute. 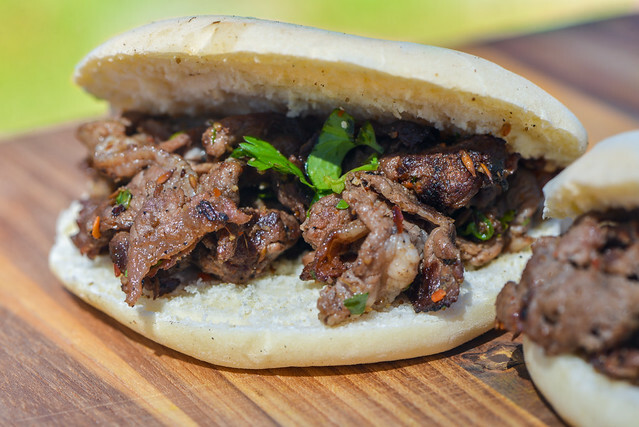 Slice each bun in half almost all the way through and stuff buns with grilled lamb. Serve immediately.